The original Mamma Mia! opened way back in 2008 and I don't remember what the prospects for it were but I'm guessing it wasn't $609M worldwide. That kind of money buys a lot of karaoke machines for fans of the film to sing "Dancing Queen" to until their heart is content. 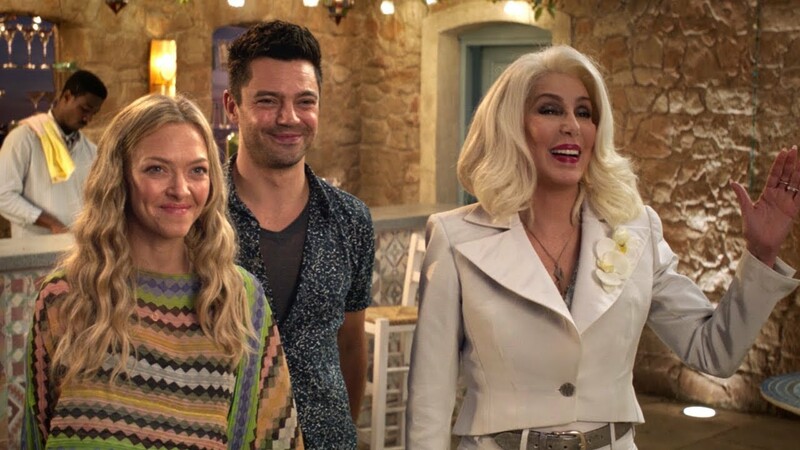 A decade later and the ABBA-inspired musical's sequel is here, and its trailers seem to be hiding a pretty big secret. While this "final" trailer for Here We Go Again has more energy than the previous ones we've seen, it still skirts around the issue raised by the first, and that is the amount of screen time for Meryl Streep? The legendary actress has clearly ceded the starring role to the returning Amanda Seyfried, with it looking more and more likely that Streep's character has died somewhere along the way. If that happens I don't think Pierce Brosnan and Stellan Skarsgard singing "Waterloo" is going to be enough to break us out of the depression. Also starring Colin Firth, Christine Baranski, Julie Walters, Dominic Cooper, Lily James, Alexa Davies, Jessica Keenan Wynn, Jeremy Irvine, Josh Dylan, Hugh Skinner, Andy Garcia, and Cher (!!! ), Mamma Mia! Here We Go Again opens July 20th.